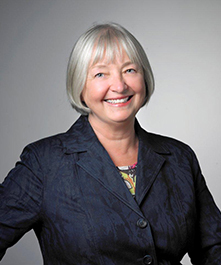 Dr. K. Lynn Taylor was the Director of the Centre for Learning and Teaching at Dalhousie, 2004-2012. In this time she was instrumental in elevating the profile of teaching and learning at Dalhousie and was specifically interested in encouraging faculty to engage in the scholarship of teaching and learning by sharing their scholarly reflections and research with colleagues. Award Description and Purpose: This grant will assist in funding travel costs incurred by faculty who have been accepted to give a scholarly presentation at an academic conference with a focus on teaching and learning in higher education, or a pedagogical session (focused on teaching and learning in higher education) at a discipline-based conference. For this funding, scholarly presentations include presenting a research paper or a poster (finalized or preliminary findings), facilitating a workshop, or participating on a panel or roundtable. Funds can cover any form of transportation expense (car, bus, rail, air), hotel accommodation, and/or conference registration. Please note that to be eligible for this round of funding travel must be started and completed between April 1, 2019 and March 31, 2020. Award Availability 2018-2019: Four (4) grants of up to $1,000 each are available. Eligibility: Full-time faculty are eligible to apply for this award. Limited term faculty and part-time academics are eligible to apply for this award if they are travelling during their dates of employment at Dalhousie. Preference will be given to those who have no alternative sources of funding beyond their Professional Development Allowance. Each applicant may hold one travel grant in a single fiscal year. New applicants will be given priority over recipients of a previous Educational Conference Presentation Travel Grant. Applicants should complete the Educational Conference Presentation Travel Grant Application Form and submit it together with their session proposal abstract. Approval for Funding: Educational Conference Presentation Grants will be approved for funding conditional on acceptance of the proposal by the conference organizers. Recipients of grants will be required to provide proof of the acceptance of their presentation (for example, conference program identifying their inclusion, or email message of the acceptance) at least ONE month prior to travel taking place in order to receive grant funds upon their return from the conference. After the conference, applicants should submit eligible, itemized receipts for reimbursement. Original receipts must be submitted, along with boarding passes for air travel. Awards must be claimed no later than two (2) months after the conference. Fund advances before travel will not be granted. Recipients of Educational Conference Presentation Grants will agree to share their conference learning experiences through (1) an article for inclusion on the CLT website or in the CLT's Focus newsletter OR (2) a workshop or presentation via the Centre for Learning and Teaching, or within the applicant’s Faculty/Department/Program.